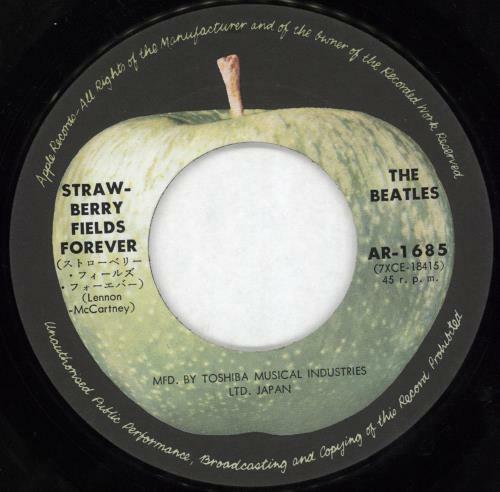 THE BEATLES Strawberry Fields Forever (Circa 1972/3 Japanese third issue 7" black vinyl single on the Apple label with 'MFD. 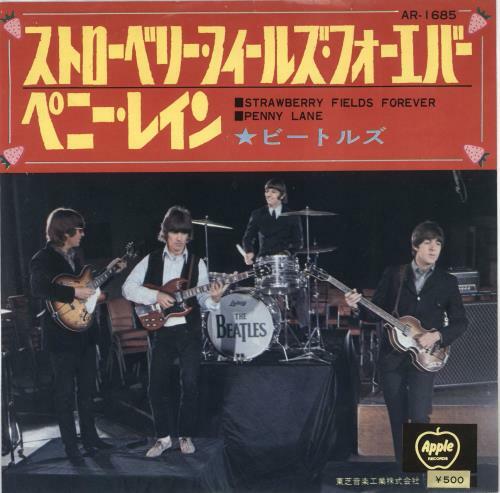 BY TOSHIBA MUSICAL INDUSTRIES LTD. JAPAN' text, also includes Penny Lane, picture insert with a '�500' price sticker over the original printed price point on the front with lyrics on the reverse. The insert displays just a little light wear more visable to the mostly white back, whilst the vinyl has minimal signs of play AR-1685).